A quieter year for new openings in the city has meant a quieter year for me – nonetheless there has been no shortage of highlights that I feel obligated to share with you. The Nottingham Street Food Club remains an interesting and unusual addition to the food court in the Victoria Centre. I have been several times throughout the year (more than perhaps I had thought when I first visited). It still lacks ‘something’, somewhat soulless and struggling to generate much atmosphere. It makes up for it with some excellent food, the vendors change often and the most regular occupants Homeboys have some truly great dishes. 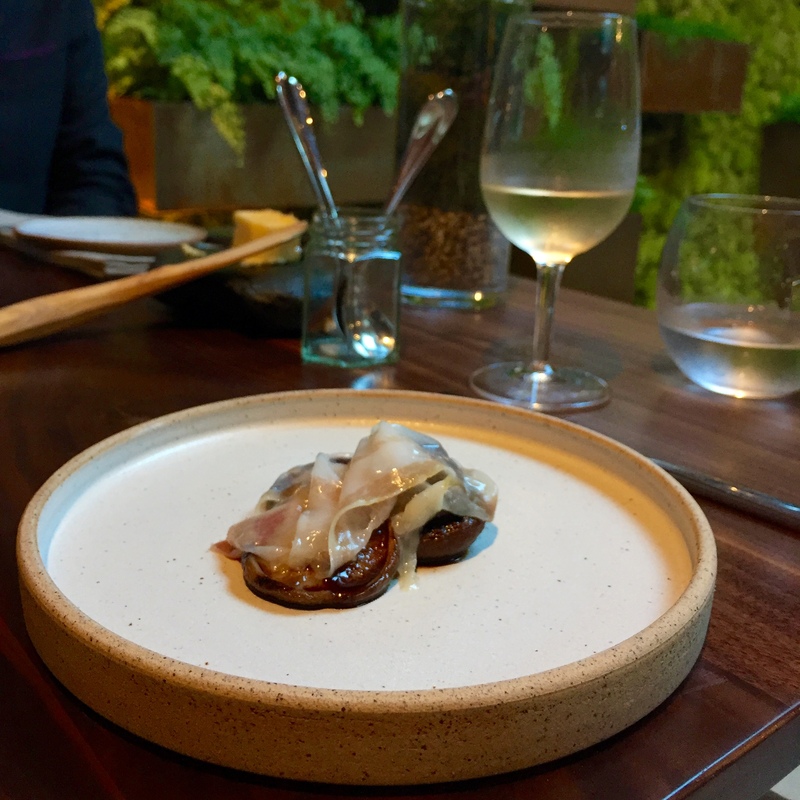 A restaurant that has already had lots of exposure but I have to mention is Alchemilla who’s arrival on Nottingham’s food scene was better late than never. The menus remain, 5, 7 or 10 with optional wine pairings. What is most remarkable is that I have now eaten each of those and in the space of a couple of months I enjoyed at least 20 different dishes. That is quite a feat – established restaurants may have a couple of menus but even then there will be overlap between these. Most impressively you could put together 7 that I would confidently say were 1* level. Whilst the execution of these was near faultless I am more amazed by the amount of interesting and successful ideas that have fed into these dishes. Highlights, to name only 2, have been charred hispy cabbage, hazlenut and parmesan as well as beetroot, pork and smoked eel with horseradish. Some how I was late to the party with The Ruddington Arms. 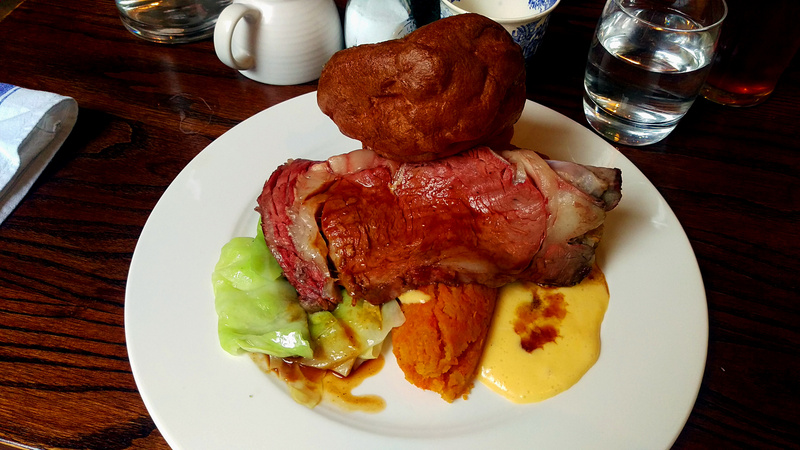 They delivered the best Sunday lunch of the year, chiefly due to a perfectly cooked bit of beef, trimmings were good but its that bit of meat I will remember. A restaurant I visited a surprising amount over the year was the Harvester owned, Son of Steak. It isn’t going to set the city alight with anything revolutionary but I happily parted with £11 on several occasions for a 8oz picanha and their onion loaf. A worthwhile local addition and one which I think represents really good value. The most interesting meal of 2017 in Nottingham was perhaps at Edward’s in Beeston. Their supper club contained some seriously eclectic dishes between various Asian influences that was also a Spanish gazpacho for example. My favourite dish was the accomplished “Chicken 65” – a really coherent Indian dish amongst some that, in truth, were a little confused. I don’t have a long list of new openings yet to peak your anticipation for the new year. One that is getting some inches on my Twitter feed seems to be the next venture from award-winning local butcher Johnny Pusztai. He’s acquired the adjacent unit to his current shop, JT Beedham and intends to open a restaurant, no doubt with the same attention to detail he has bought in his other enterprises. The other major comings and goings appear to be bars, it is about time for Nottingham to up our game with a better range of these but it just can’t interest me as much as food!